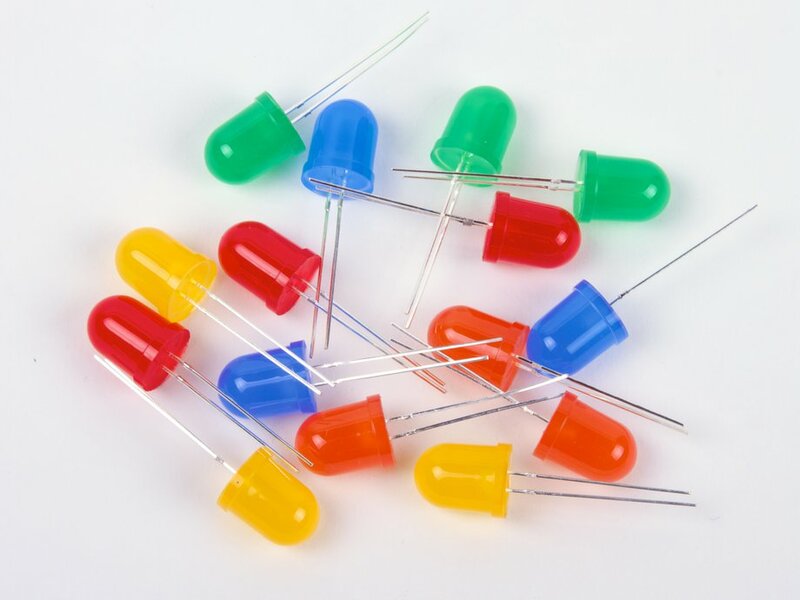 3 each of 5 colors of ultrabright LEDs, with 10 mm tinted lenses. Retail pack. 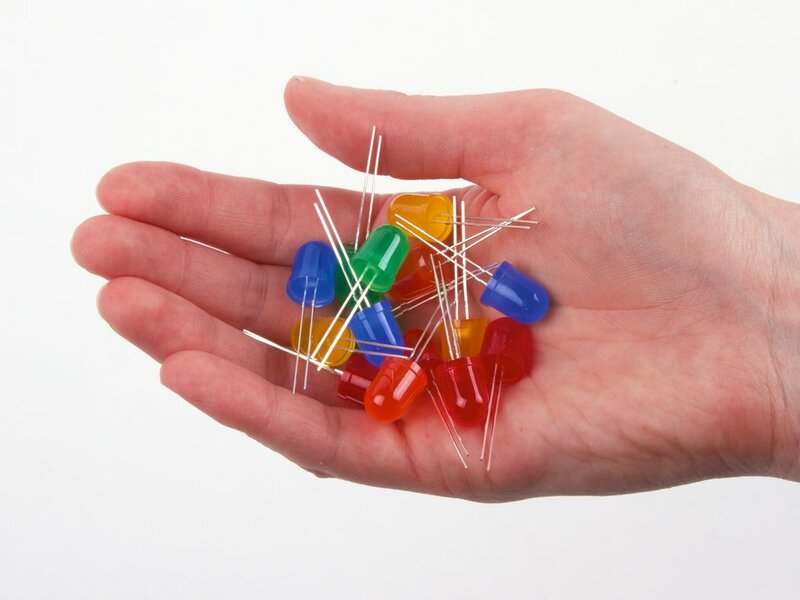 We've been selling these cute little packs of big fat LEDs as retail "impulse buy" items for some time, and they've been a perennial favorite — already one of our most popular LED assortments. 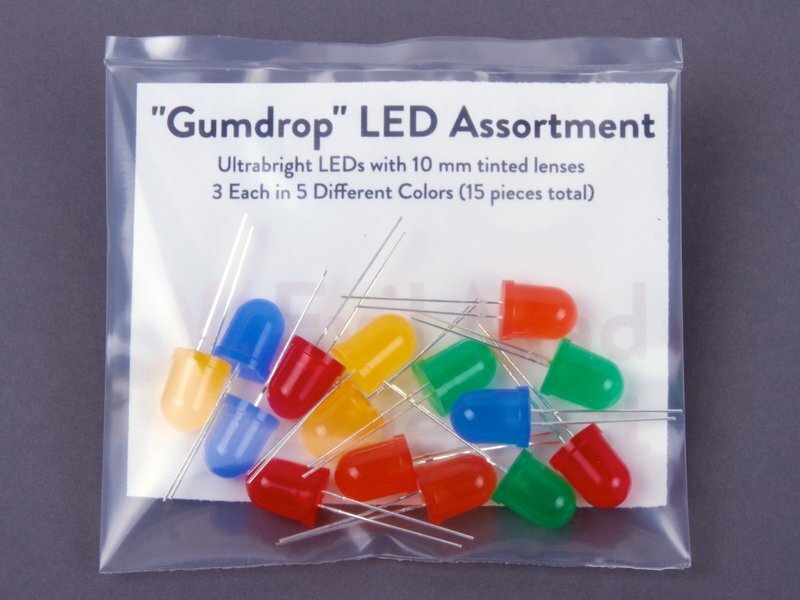 This pack contains a total of 15 diffused-lens 10 mm ultrabright LEDs, 3 each in 5 colors, and with color-coded lenses for higher contrast and easy identification. 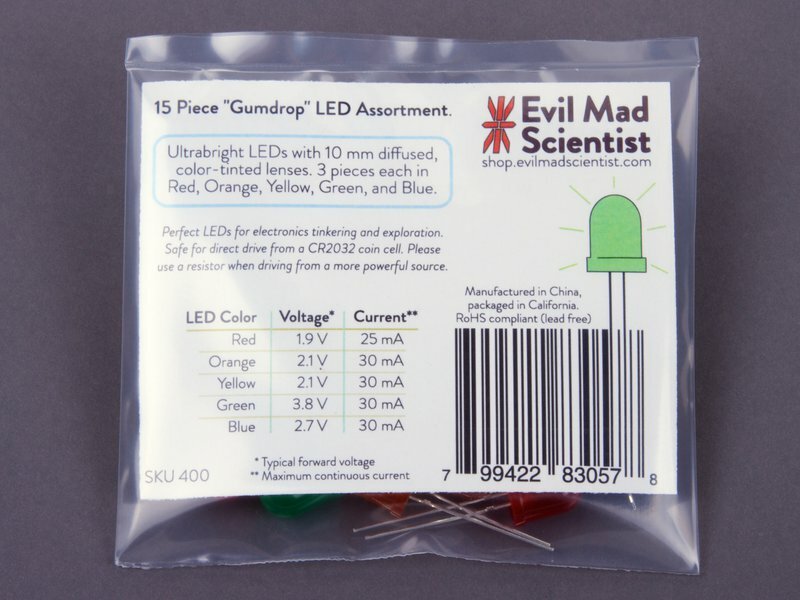 Perfect for classroom use, making squishy circuits, LED throwies, restocking your electronics bench (or travel bag), or gifting to youngsters who should be playing with LEDs.